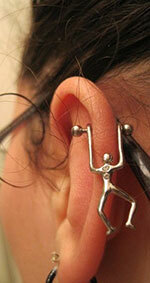 Cartilage piercing care, all that you need to know.Cartilage piercing care, all that you need to know. Cartilage piercing care, all that you need to know. Cartilage piercing care is comparatively easy because it is considered to be one of the most popular modifications besides the regular ear lobe piercing. Cartilage is something softer than bone and harder than flesh. Cartilage determines the shape and structure of the outer ear. You ear is basically one piece of cartilage exept for the ear lobe part. If you want to know everything about cartilage piercing type, pain, heal time, then just follow this link. In this article we’re going to tell you how to take care of a cartilage piercing. Do not change your ear ring or jewelry until the piercing is completely healed, unless there’s a problem with the material or size. If you take off your ear ring before the cartilage becomes stable enough, your body might reject the piercing, it could get an infection or it may incorrectly heal. First of all, you do not touch your ear piercing, ever! Your hands always carry lots of eveil bacteria that can cause infection. So, cartilage piercing care requires you to touch it as little as possible. All other substances of your body (makeup, hydration, sweat, fluids, sprays) should be avoided to contact. During the cartilage healing time, avoid twisting the ear jewelry because it slows the healing time, may tear the healing skin (fistula) or even the body may reject your piercings. If you see the crust on the piercing site, do not panic, as it is a part of normal ear puncture healing process. 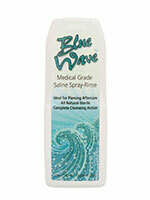 For a proper cartilage piercing care you basically need a saline soultion that you can buy at any drug store. Two times a day, use a saline solution and cotton swabs or gauze pads to carefully wipe both sides of the piercing site to clean it of the dried blood, dead cells, secretions and other dirt outside. Follow other recommendations you may have been supplied by your piercer. You can both use the same stuff you use for contact lenses or make your own saline soultion. Take one cup of warm water and add 1/4 teaspoon of non-iodized salt. 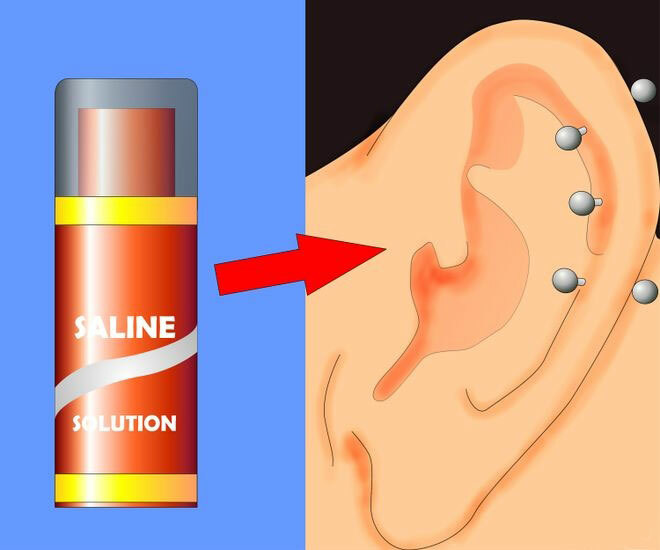 You can immerse a pierced ear with the jewelry into a container filled with saline solution to soak it for a few minutes. Within a few minutes the saline solution will do the job, soak the crust, and all you have to do is gently remove excess with a cotton swab. For perfect cartilage piercing care, remember to rinse the puncture spot with clean (preferably boiled) water to be sure that it has no salt left after the saline bath. Dr. Shari Welch has made a medical research and found out that 34 percent of all piercing infection incidence is cartilage piercing. Therefore, it is very important to take a diligent cartilage piercing care to maintain the healing process. When you notice that your piercing starts migrating towards the cartilage edge, displaying any signs of infection or developing a bump, you have to call your piercer and have your piercing site carefully examinated. The sooner you do it, the better for you. As we already told you, the body may reject the piercing, then will need to be removed to prevent scarring. In order to prevent septicemia, any infection has to be taken care of rightaway. Please, visit a doctor, if you begin to feel an intense pain, rash, fever or vomiting as well as all the sympthoms we stated above. Every piercing should be treated as an open wound on your body, so treat it respectively. Always wash you hands before you try to do anything with your cartilage piercing. Even your friend or a family memeber should be asked to wash his hands before touching. Start washing your bed linen very often, especially the pillow case. Also try to keep away from your piercing site any fuid chemicals, sprays, shampoos etc. Usually it takes around 3-6 months to fully heal the cartilage piercing. Don’t try to rush the process of healing. Follow the rule number one: not to change the jewlery before the piercing is healed. This may cause infection or even rejection. Just let your body do the work to properly recover. You should have no issues with your cartilage ear piercing as long as you take proper cleaning techniques that we told you. Listen to yourself, to your feelings. Redness at the puncture site, discomfort could be indicating you body trying to heal the wound, although there may be a problem. So, carefully inspect your piercing every day, and watch for too much redness, swelling or white secretions from the piercing. This way you can understand that there’s something wrong and you should contact a doctor. Infection unlike cartilage defect or tissue damage can be dealt with pretty easily when discovered in a timely manner.